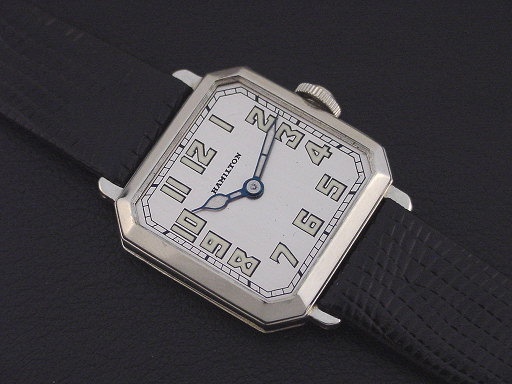 Scarce Hamilton “Square” men’s Modern design wristwatch in solid 14K white gold, circa 1925. 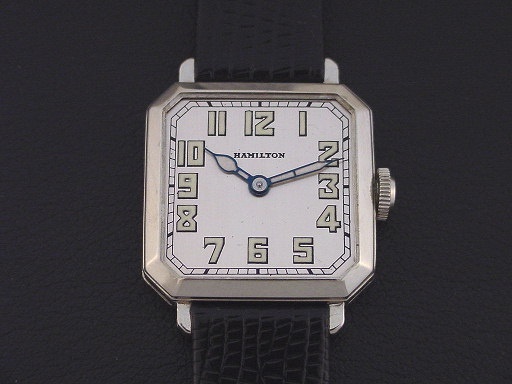 Introduced in late 1924, the “Square” was the second 6/0-size men’s wristwatch model introduced by Hamilton and featured a simple cut-corner case with a subtle raised border around the bezel edges. 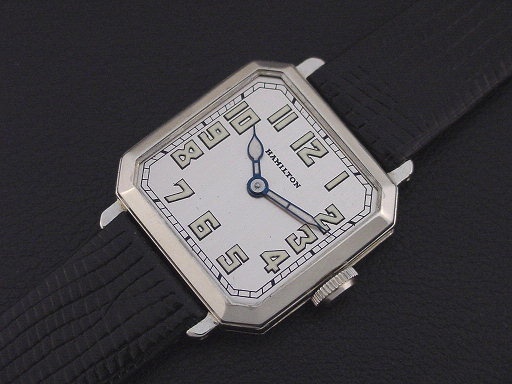 This is the initial version of the “Square” model and has a grade 986A movement without sub-seconds register on the dial, and was catalogued through 1926. 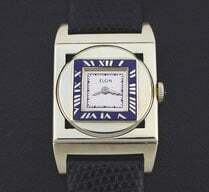 It was priced at $85.00 in 1925 and only 3,051 watches were produced in solid white gold. 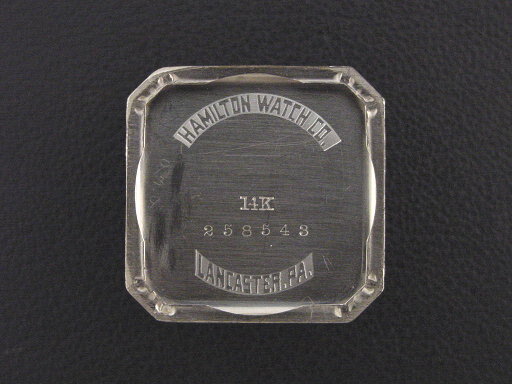 This example is in crisp, excellent condition showing hardly any wear. 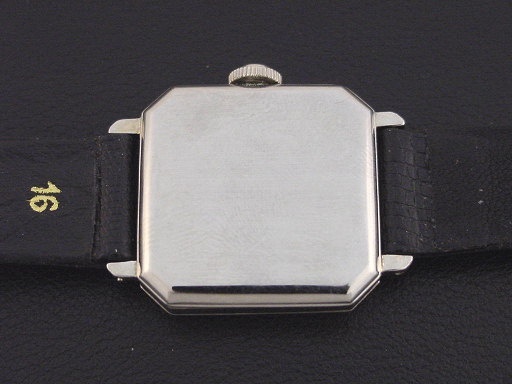 Caseback is superb and unengraved, with traces of its original factory-brushed finish. Case measures 35mm wide and 28mm long. Refinished dial is superb. Has new glass crystal. 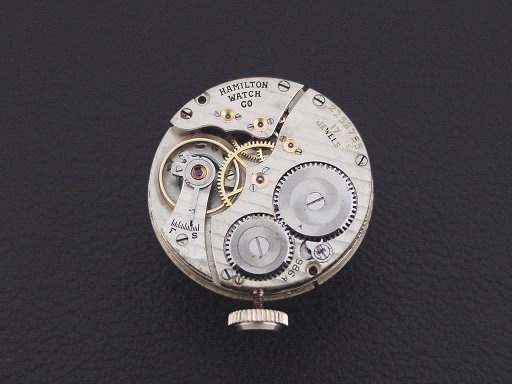 The watch is powered by its correct 17-jewel Hamilton grade 986A manual wind movement, just serviced and running strong.